Eleanore S. Kurtz was born Feb. 21st, 1922 in Canton Ohio. She lived for a time in Summit, N.J., then settled in Chestnut Hill, Philadelphia. Ellie was fun-loving, feisty, witty, and passionate. An accomplished pianist, swimmer, horsewoman, athlete, she spent many happy years at the Philadelphia Cricket Club. Ellie graduated from Springside School in 1939 and went on to the Katherine Gibbs Business School. She became a wonderful typist, secretary. 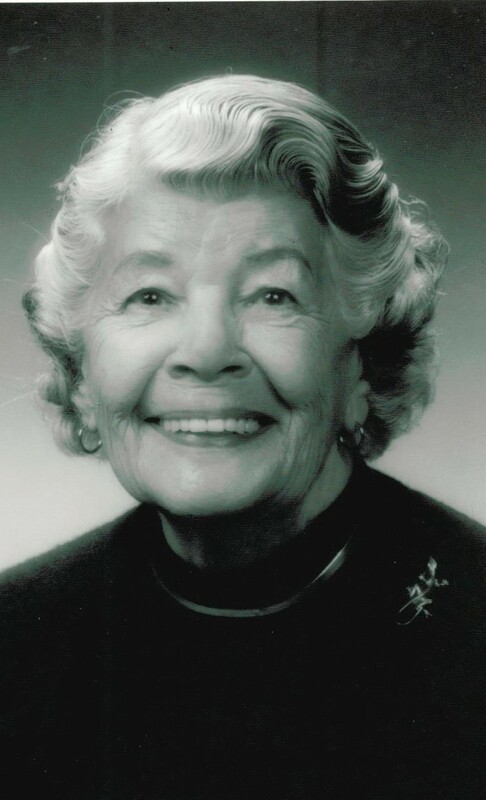 During the war, Ellie worked with Army Intelligence, Unit of the 3rd Service Command for four years, then with Army Recruiting, then as secretary for the Admiralty Law firm. 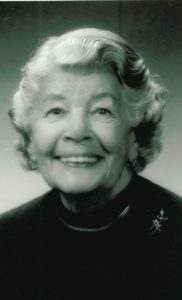 In 1946, Ellie married Paul B. Kurtz (d. 2010). They had three children, Suzanne (Klorig), Margot (Forbes) and Paul Kurtz. Ellie then took a position at Springside School as secretary and typing teacher which she held for 31 years. There she was a beloved friend and mentor to many students. All were welcome in her house. In her retirement, Ellie volunteered for The Clothes Closet, Springfield Residence, The Election polls, and delivered meals for Chestnut Hill Meals on Wheels. In her later years, she became more restricted with macular degeneration, hearing loss and age. She had a weekly coffee klatch and many friends who would come to see her and take her out. The family would like to thank all those friends, too numerous to name, for brightening her days. You all meant so much to her. Ellie died at home, July 22nd, 2017 surrounded by loving family. She is survived by her sister, Helen S. Bailey, children: Suzy, Margot, and Paul, seven grandchildren, and five great-grandchildren. She will be sorely missed and will live in our hearts forever. My sister Ellie (“Babe”) was such a delight all her life. I remember so many happy days with joy, being amused with her wit and good humor, always ready for fun. I cannot imagine a better sister anywhere. She was also kind to those less fortunate. I miss her so much. I hope Meals on Wheels will continue its wonderful work. Ellie delivered smiles as well as food. God bless her.